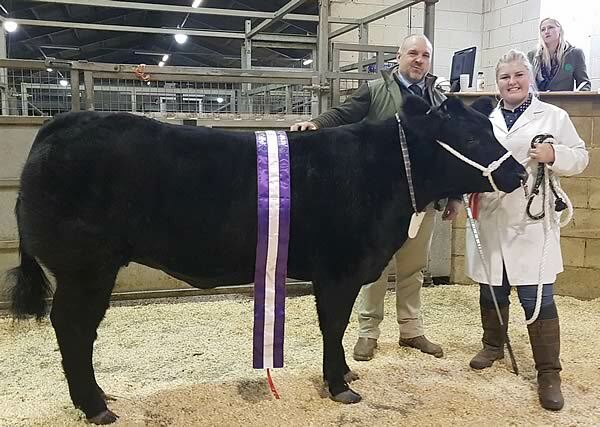 The Ashford Cattle Show took place on 26th November 2018 and the Best Young Farmer Beast was a British Blue x from Charlotte Husk from Canterbury YFC. The May 2017 born Blue x Lim heifer was purchased from Messrs. Baldwin at their annual sale in Newark. The judge, Kevin Ludgate awarded the heifer the Reserve Champion Heifer and then went on to take the Supreme Reserve Championship of the show.